She sold everything after her mother died. There wasn’t much to get rid of, just ordinary furniture, drab clothing, cheap kitchen things: all the accessories of a life endured rather than lived. During the cleanup, she’d found no books, no paintings, no mad indulgences hidden in the back of a drawer. She was disappointed, but not particularly surprised. Her mother’s secrets were not the sort one finds evidence of between mattress and box spring. Her cousin Gabe helped her clear the apartment. He was the only one of the family she was in touch with, but a day with him was about as much as she could stand. She knew how he saw her: thin, pale, stoop-shouldered, the very image of her mother. At least he had the good sense not to say so. That was probably why they were still in contact. But he still thought her odd. He’d grown more and more restive as the stack of things for him grew, and the bags to be sold and donated piled up, but the box of things for her to keep remained resolutely empty. She was folding the mothball-scented Army blankets she’d slept under as a child when he finally asked, half-shocked, if she was going to keep anything from her mother. Gabe shook his head. “Girl, you’re not right.” But he did stop asking if she wanted to keep anything. When he piled the things he wanted in his car and drove away, she knew she wouldn’t be seeing much of him any more. 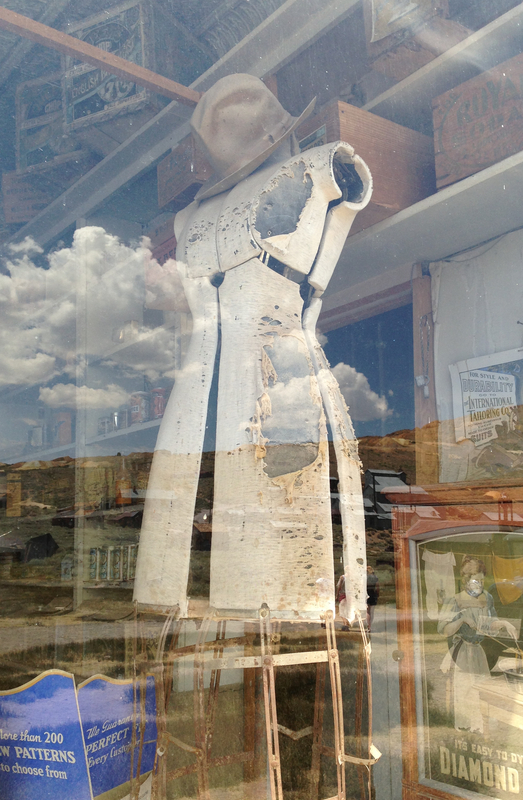 The one item she didn’t sell was the dress she’d worn at the graveside. It had been her grandmother’s before it was her mother’s. It was black silk crepe de chine, so simply tailored that it never seemed to go out of fashion. Her mother had worn it to her own parents’ funerals, to court for the divorce, to graduations and endings of every sort. It smelled of her. That, at least, had to change. Walking back to her car, she passed a real estate agent with an enormous plate glass window. She glanced at her reflection, then started to look away. It was a bad habit, that impulsive look. Her mother had called it vanity and scorned it as she scorned everything unnecessary. But her mother was dead. She raised her chin a little higher and met her reflected eyes. Her image looked tired, like a woman who hadn’t slept well in years. Tired and used to being tired, worn out with tiredness. And then she saw the listing behind the glass: a house in the desert, an old house, all on its own, listed for precisely the sum she’d inherited. And in an instant, on the strength of the coincidence and because her mother would have disapproved, she decided to buy it. Purchasing the place meant lawyers and taxes, so she did end up paying more than the magic sum. But she had plenty of savings, because spending money is hard when you hear your mother’s voice murmuring waste, vanity, unnecessary every time you get your checkbook out. The house was the first thing she’d ever bought despite that voice: her first indulgence. It was a messy indulgence. The place had been abandoned, then squatted in, then abandoned again. The surveyor said the structure was sound and the pipes were still in place, but very little else was usable. 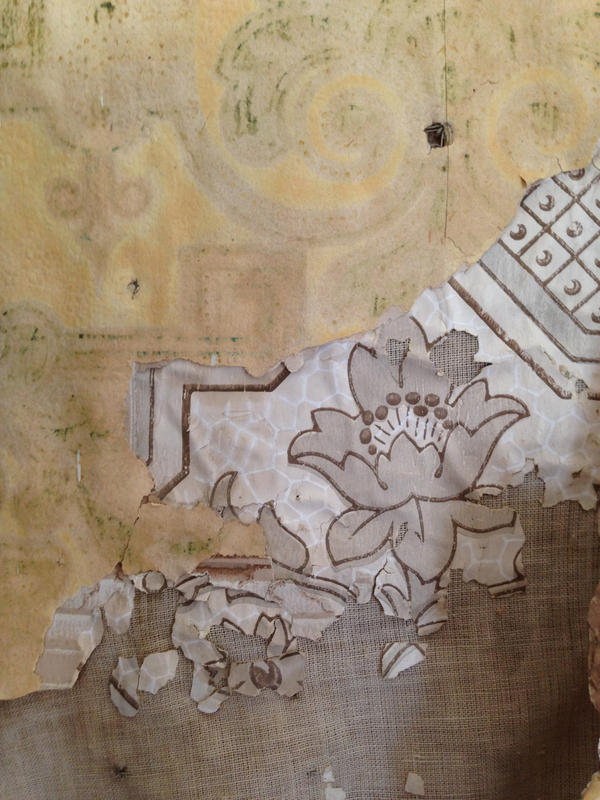 The wallpaper hung down from the walls in long ragged strips. 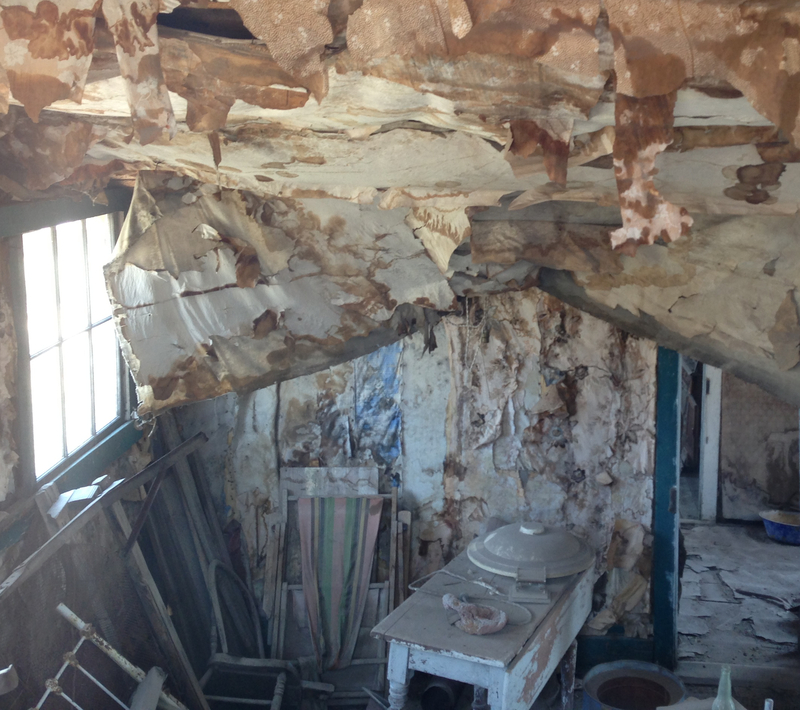 The windows were filthy, the bathtub stained, and the whole structure groaned like a ghost when the wind blew. But the light was good, out there in the desert. The wind that made the house creak also blew the fragrance of sagebrush through the cracks around the window frames. And after dark, the stars spread out across the sky, extravagant, unnecessary, uncaring. She worked hard during the day and slept well at night, for the first time in years. Out behind the house was a junkpile of sorts, dominated by an old washing machine, a tub-and-mangle affair one step better than a washboard. Around its feet were piled various rusted oddments, some identifiable (a frying pan, an old clock face, a rocking horse, some bedsprings) and some not. She’d found six doorknobs there one morning, just before she’d planned to go into town to pick up three doors she’d ordered. So she was in the habit of going out and digging around whenever she was looking for a tool or an oddment of metal. One day she was turning over items in the pile, hoping for hinges for a kitchen cabinet. She lifted an old plank and saw that it had a mirror attached to it. The silver was spotted and the glass was cloudy, but she brought it inside anyway. She set it up on the mantlepiece. And every time she passed it, she looked in it, with her chin a little raised, and met her own eyes. One day as she glanced in the mirror, she noticed something small, round and unfamiliar on the windowsill behind her. She turned around, but the sill was empty. And yet, in the mirror, the round thing was still there. She took the plank down from the mantlepiece and backed slowly up, steering by the reflection. When she was beside the window, she looked over her shoulder again. No ball. She looked away again and groped around behind her. Her fingers closed on something. It was cracked and rough, and surprisingly heavy when she picked it up. She brought her hand around and looked. She was holding a ball that hadn’t been there before. She peered at it and saw old continents, faded letters, washed-out seas. 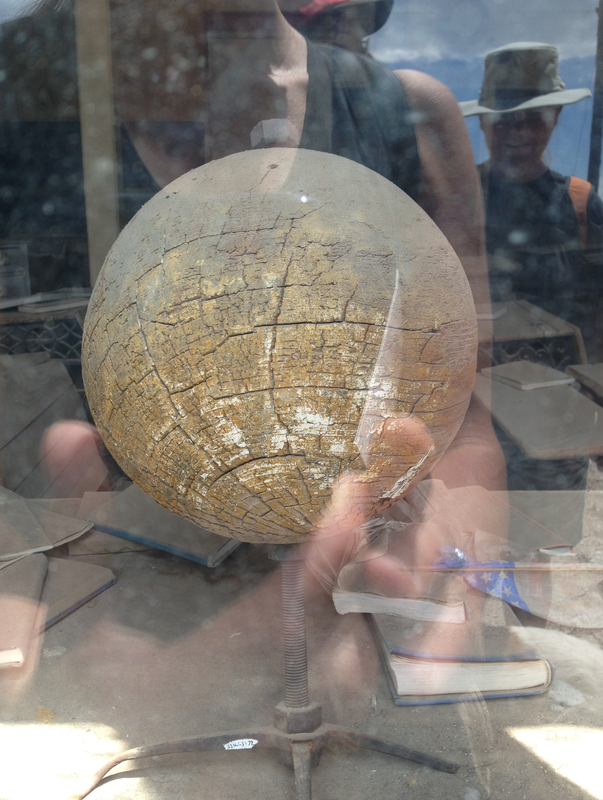 It was a globe made out of solid wood, now bleached and split, as if it had been sitting in that window for a long time. What do you do when you find something that shouldn’t exist? She made herself a cup of tea, then sat at the table with the old globe in front of her. There was no sense telling anyone about it, she decided. She had no proof that the globe hadn’t always been on that windowsill. And who would she tell, anyway? Gabe? Her real estate agent? Some newspaperman or internet researcher? No. She left it on the table and picked up the mirror. Walking backward through the house, she looked for other things that weren’t there. But she didn’t find anything, so she put it back on the mantlepiece. She smoothed her hair, nodded at her reflection, and went to the kitchen to fix dinner. Days passed. Autumn came. The house became livable, then comfortable. Wherever she walked in it, she saw things she had chosen, work she had done. It felt full of her in a way no house she’d lived in before had. She felt at home, and found it strange. In November she found an old dress form in the attic and dusted it off. The black dress fit on it perfectly, so she stood it in her bedroom. She was only going to leave it there for a day or so, because the light would fade the silk. But the days passed, and there was always something else to do than worry about the dress. One day she bought a new mantlepiece mirror. She brought the old one into the bedroom, wondering if she wanted to hang it above the dresser. She was holding it in place when she caught a glimpse of the dress form over her shoulder. The dress on it wasn’t the simple black silk, the dress for endings. In the mirror, the form wore something extravagant, white and ruffled. With a shock of recognition, she realized it was the dress from her mother’s wedding pictures, which had all been thrown away after the divorce. She glanced over her shoulder. Black dress. She backed toward the dress form with the mirror and reached out, wondering if she would feel the stiff ruffles of taffeta. But her hand brushed familiar crepe. She pulled a fold of it into her field of view, and it was black. She looked at her hand in the mirror, and saw it holding white cloth. And suddenly it was too strange for her. She picked up the form and balanced it on her shoulder, still in the black dress, then carried both it and the mirror out of the house. She dropped them abruptly on the junk pile, hearing the mirror shatter as it fell. The dress form landed upright, and she left it there, standing behind the washing machine, facing away from the house. She was sure she’d sleep poorly that night, but she didn’t. In the morning, she realized she’d been dreaming of her mother in the wedding dress, smiling in a way she’d forgotten her mother had ever smiled. Her pillow was damp with tears, the first she’d shed since her mother’s death. She got out of bed and realized that she was cold. It had snowed during the night, the first real snow of winter. She dressed and went outside. The dress form was still in the junkpile. The night’s fall had covered it, and at first she thought the changed shape was just the accumulation of snow. But when she brushed the powdery layer off, the fabric underneath was white taffeta, frivolous and unnecessary. 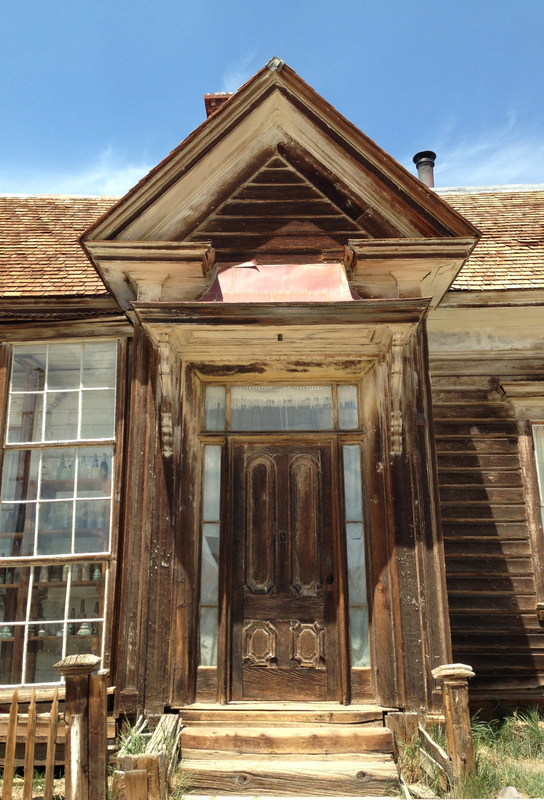 This story was inspired by photographs I took at Bodie State Historic Park this summer. Oh, that was lovely. I’ve lost two close relatives this year, and going through their things has definitely been an otherworldly experience. Though not for quite the same reason. Luscious, evocative, and pensive. Very nice indeed. Nice, very nice. Didn’t know which desert you were thinking of when I read it, so I imagined New Mexico, where I’ve spent time, and was the locale of Jane Lindskold’s “Child of a Rainless Year”. Your prose reminds me a little of her descriptions of the desert; you evoke the feeling I had standing in the middle of a very spare but not empty or lifeless land. That is gorgeous. And it makes me wish I could find again a book of poetry that I read back in junior high, which was all poems about the desert from someone who had moved to Arizona (or New Mexico?) from a much greener land, and slowly learned to love the place. Abi should write more tales. That was a beautiful piece. Thank you for writing and sharing it. So sad yet so rich. I loved it. Thank you abi; this story will stick in my mind.